Weekly Ad IGA In-store Expires today! Weekly Ad Publix In-store Expires today! Add Winn Dixie to your favorites! Weekly Ad Winn Dixie In-store Expires today! Commissaries is a grocery store that provides supermarket products for military personnel, retirees, and their families. Today’s commissaries are much like their civilian supermarket counterparts, using scanning and other technologies to provide customers with a modern shopping experience, and establishing various cost-saving initiatives. 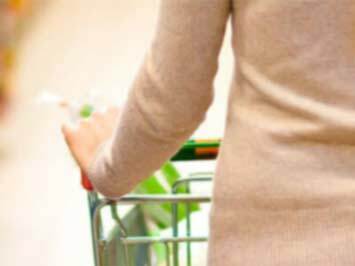 American military commissaries provide a military benefit of discounted groceries and household goods to active-duty, Reserve and Guard members of the Uniformed Services, retirees of these services, authorized family members, DOD civilian employees overseas and other designated categories. Commissaries constitute one of the top nonpay benefits for today’s military personnel. In 1775, Congress created the Office of the Commissary General of Stores and Purchases to provide the Army’s daily rations. The early commisaries, or military grocery stores, were born of necessity. Many Army post were located on the western frontier far from town and officers and Enlisted personnel were permitter to shop at on-base commissaries. This benefit was later expanded to family members, retirees and Reserve and National Guard members. Since 1989, as the Post-Cold War draw down began, Congress mandated that the services consolidate their separate commissary systems to reduce cost and improve service. The result was the 1990 establishment of the Defense Commissary Agency (DeCA) as the agency responsible for operating nearly 300 worldwide commissaries. Go online to commissaries.com to find a location near you or to browse the store catalog. There are plenty of deals to be found on the store website. Keep in Touch by subscribing to the store’s newsletter for all the latest updates on store sales, contests, product promotions, events, updates, and more. This newsletter flyer is sure to keep you up to date on the best ways to save while you shop. If you have any questions, always also feel free to get in touch via the customer service email provided online. Go on the web to the Commissary website to order groceries online and pick them up later. You can also download coupons and access recipes from the store website. To learn more about all you can do on the Commissary website or to access the store’s weekly ad. Do you want to receive more deals from Commissary by email?